Tumblr on Thursday released a major update of its iOS app, including support for the advanced features of the iPhone 6s, while cable network HBO updated HBO GO with features designed for non-stop viewing. 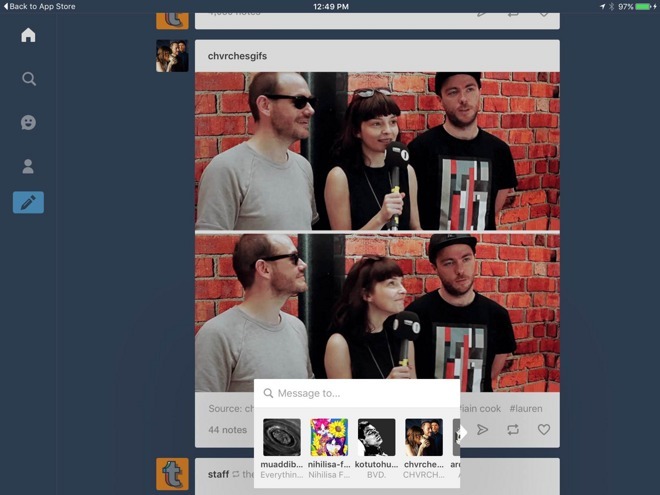 Tumblr now lets users upload and view animated Live Photos. One of the 3D Touch commands in fact involves pressing down on images with the Live Photos icon, which will trigger embedded animation and audio. Other 3D Touch functions include things like quick search access via the app's homescreen icon. Messaging, previously in limited release, is now available to all Tumblr users by default and allows threaded conversations. Along the same lines, people can message a post to any Tumblr account. The app is a free download. Although Live Photos and 3D Touch require an iPhone 6s or 6s Plus, Tumblr otherwise runs on any iOS 8 device. 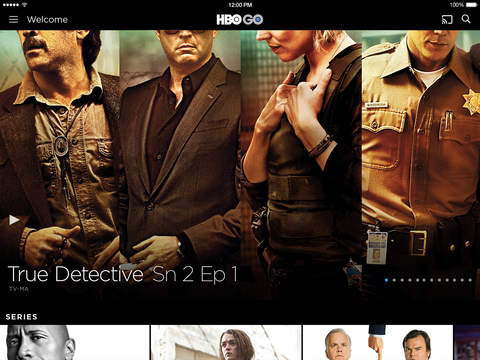 HBO GO now offers a Netflix-style Autoplay mode when watching TV shows, eliminating the need for input during series binge sessions. On iPads with iOS 9, meanwhile, the app supports Picture-in-Picture, keeping video going while using other apps. The option does however demand at least an iPad Air or iPad mini 2. Unlike HBO NOW, which can be used independently for $14.99 a month, HBO GO requires an authenticated cable subscription to access content. The app runs on devices with iOS 7 or better.